I do eat things that don’t have pumpkin in them, I swear. Its just that I’ve got the fall bug. If I put something in my mouth and it doesn’t taste warm and spicy, it doesn’t satisfy. I’ve never had a fall food obsession like this before. Maybe it’s because I have no friends (yet, remember we just moved here) and so I sit at home reading food blogs all day. I’m not complaining. It just means that I spend every waking moment on my computer drooling over these, or these, or these. Brunch for last weekend’s general conference was no exception. I was so excited about these rolls that I was willing to get up hours before conference on Saturday to get them started. It was so worth it. The bread was soft and spicy, and the caramel topping was freaking amazing. I am already dreaming of what else I can put that frosting on. Apples? Pancakes? My toothbrush? The possibilities are endless. 1. In small saucepan, heat milk and 2 tablespoons butter just until warm and butter is almost melted, stirring constantly. (I just microwaved it for 30 seconds) In large mixer bowl, combine pumpkin, sugar, nutmeg, pumpkin pie spice, and salt. Add milk mixture and beat with electric mixer until well mixed. Beat in egg and yeast. 2. Add half of the flour to pumpkin mixture. Beat mixture on low speed 5 minutes, scraping sides of bowl frequently. Add remaining flour and mix thoroughly (dough will be very soft). Turn into lightly greased bowl, then grease surface of dough lightly. 3. Cover and let rise in warm place until doubled, about 1 hour. Punch dough down. Turn onto floured surface. Knead a few turns to form a smooth dough, sprinkling with enough additional flour to make dough easy enough to handle. 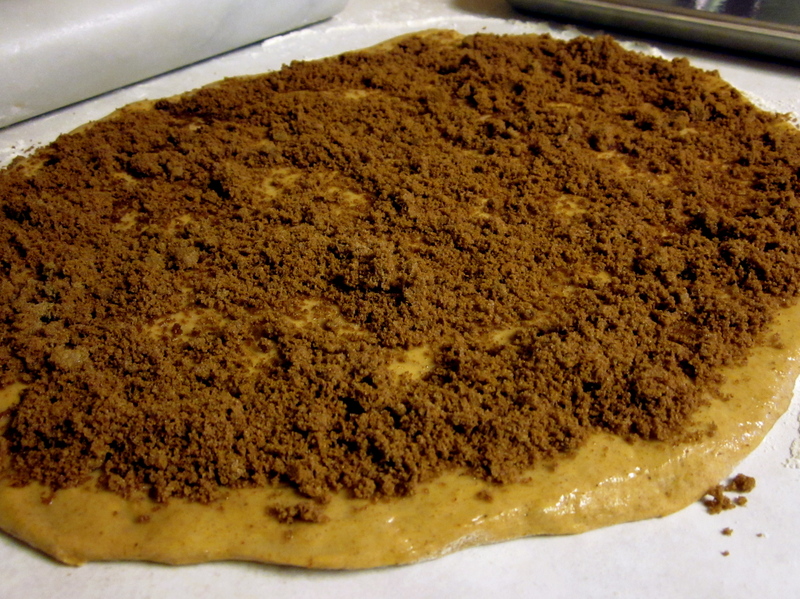 Roll dough into 12×10 inch rectangle. 4. 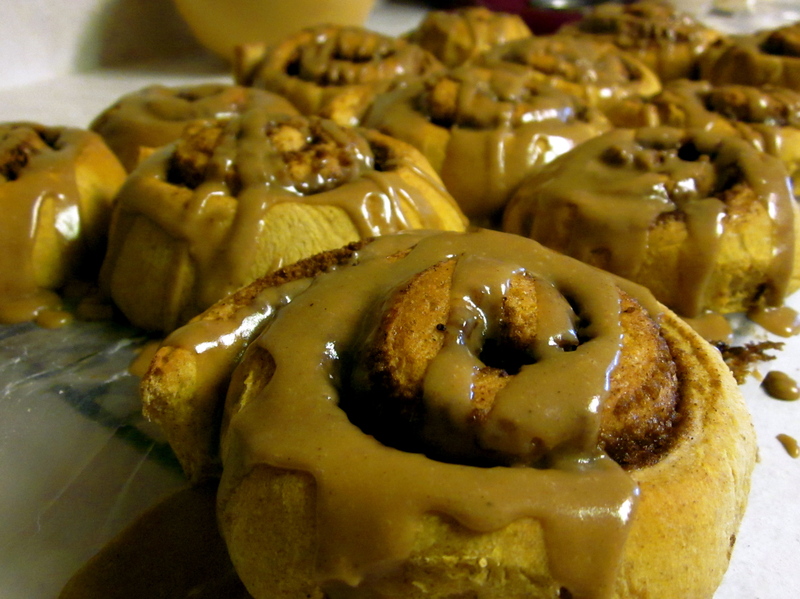 In small bowl, combine brown sugar and cinnamon. Brush surface of dough with melted butter. Sprinkle with brown sugar mixture. Beginning with long side of dough, roll up jellyroll style. Pinch seam to seal. With sharp knife, cut roll into twelve 1- inch slices. Place rolls, cut side up, in greased 11X17 inch baking pan. Cover and let rise until nearly doubled, 30 to 45 minutes. 5. Bake rolls at 350 degrees for about 15 minutes or until golden. Remove from pan to waxed paper-lined wire rack. Cool 10 to 15 minutes. 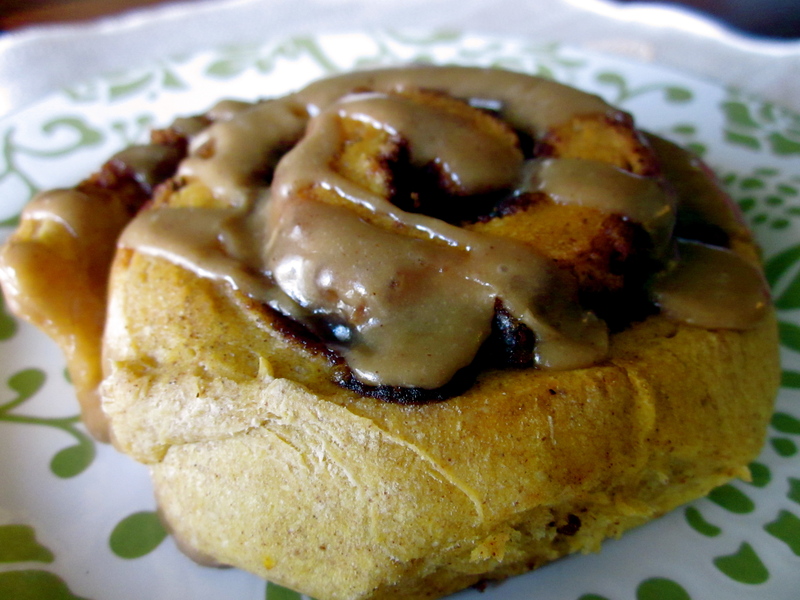 Drizzle with Caramel frosting. Makes 12 rolls. Cook over medium low heat 1 minute. Transfer to small mixer bowl and cool mixture. (Or don’t. I just stuck my mixer right into the saucepan.) Stir in vanilla, pumpkin pie spice, salt, and powdered sugar. 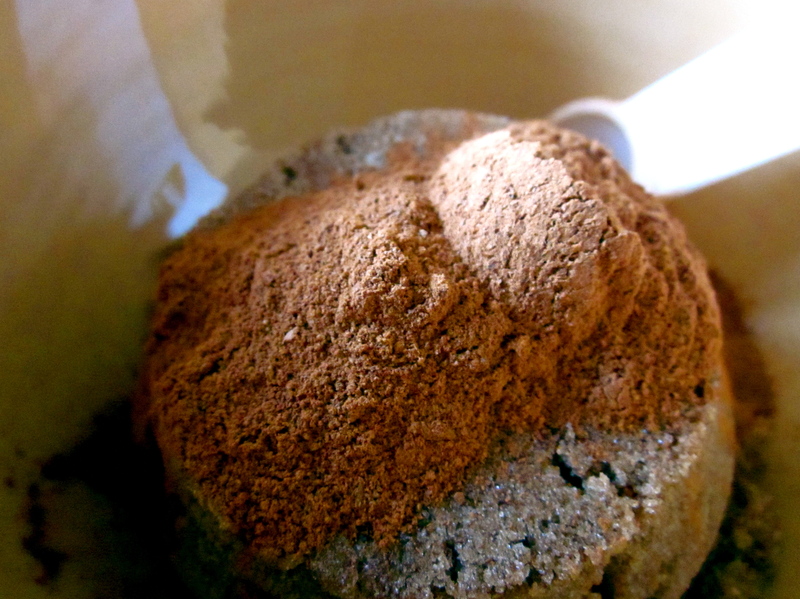 Beat with electric mixer until well blended. If necessary, add more powdered sugar for desired consistency.